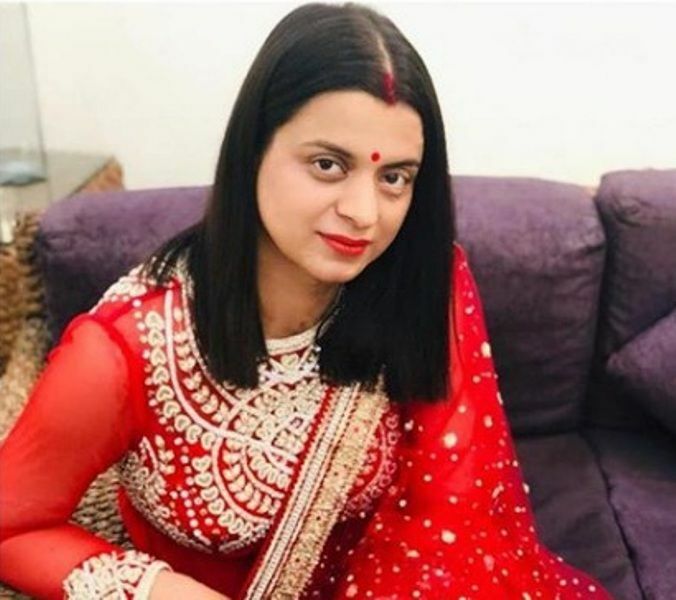 Rangoli Chandel is the elder sister of the famous Bollywood actress Kangana Ranaut who is an acid attack survivor. She works as the manager of Kangana Ranaut. 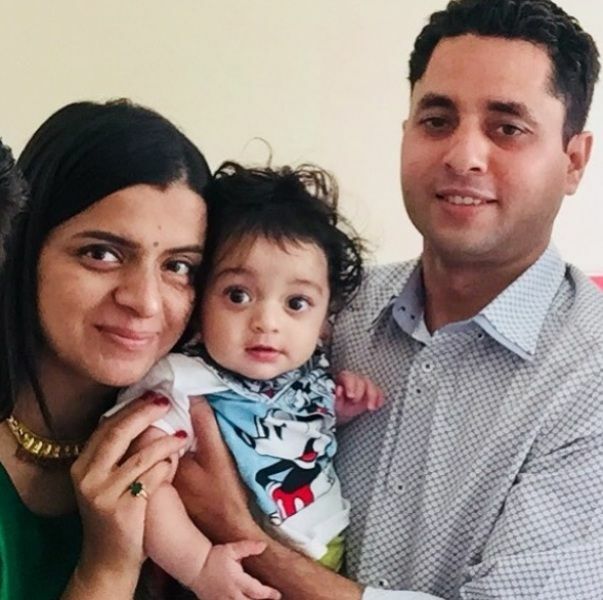 Rangoli Chandel was born on 2 December 1983 (age 35 years; as in 2018) in Bhambla village of Himachal Pradesh, India. Her Zodiac sign is Sagittarius. She did her schooling from D.A.V. Centenary Public School in Una, Himachal Pradesh. She has done masters in Microbiology from Uttaranchal College of Science and Technology, Dehradun, India. 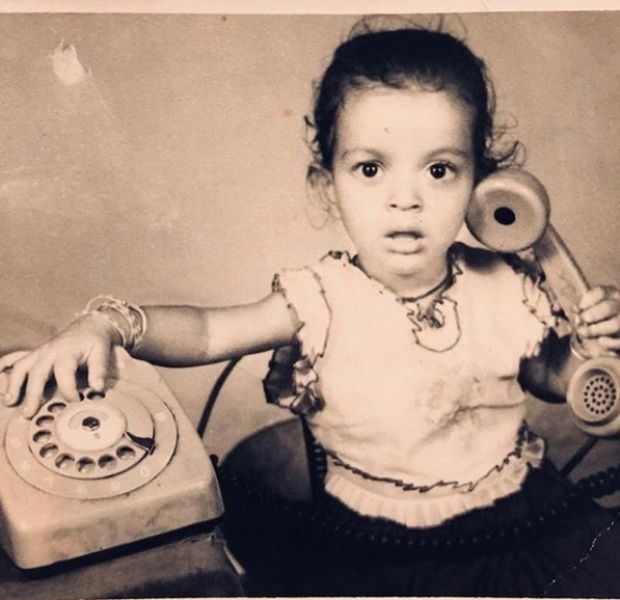 Rangoli Chandel was born into a Rajput family to Amardeep Ranaut and Asha Ranaut. Her father is a businessman and her mother is a school teacher. 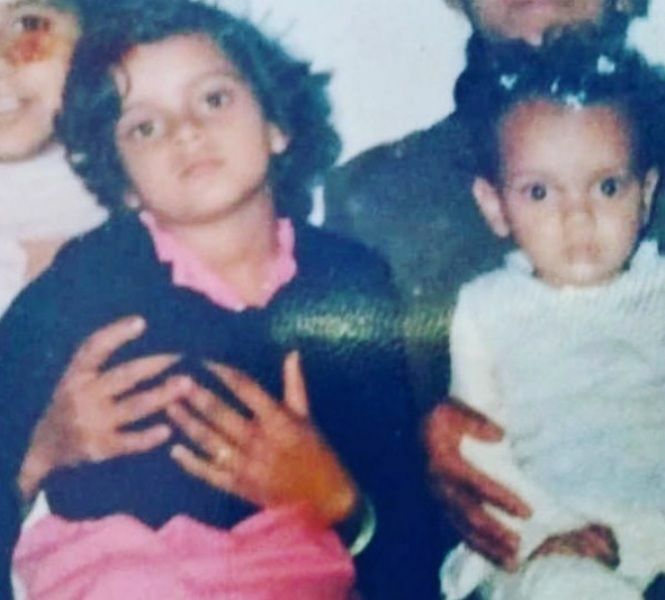 She has a brother named Akshat and a younger sister named Kangana Ranaut, who is a famous Bollywood actress. 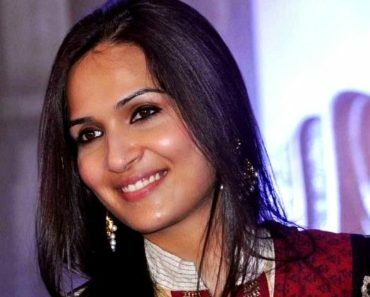 Her great-grandfather’s name is Sarju Singh Ranaut, who was a Member of the Legislative Assembly. She is married to Ajay Chandel, who works in Hewitt Associates. 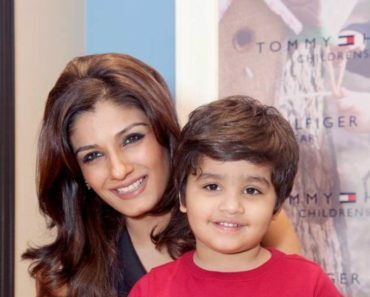 She has a son named Prithvi Raj Chandel. On 5 October 2006, Rangoli was attacked with acid by Avinash Sharma and Prem Singh. Avinash was from her hometown and a lover who was obsessed over Rangoli and Prem was a welder, who was Avinash’s accomplice in the crime. They threw acid on her at her rental residence in Rispana Colony, Dehradun. She was taken to the hospital and she underwent 57 surgeries. She had to get the skin from thighs and get the grafting done. 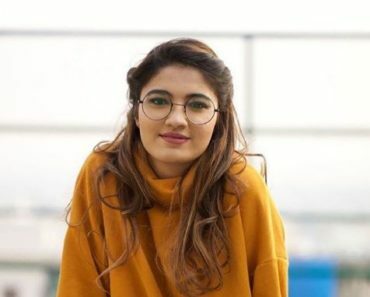 She lost one of her ears, 90% of the vision of one of her eyes and she has a dysfunctional breast, even going through best medical treatment in the country. 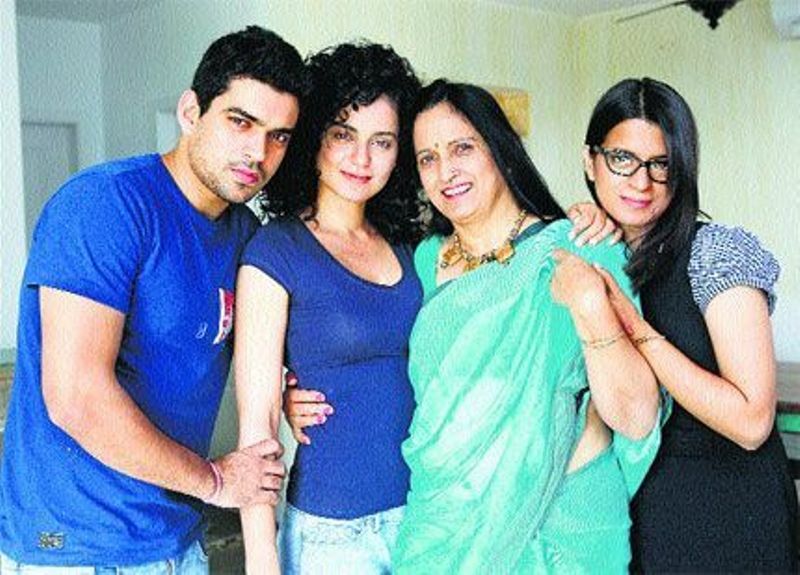 Her sister Kangana supported her throughout her journey, she looked after her when her other family members failed to do so. In an interview, she talked about how she was struggling for life because of her food and windpipe being severely damaged. The physical pain was one thing but the mental trauma she faced was immense. Her parents would faint whenever they saw her. The man who was chosen by her parents and who she was engaged to, left her after the attack happened. She refrained from looking into the mirror for three months. Her parents would often create tantrums as to what would happen of her, who would marry her and so on. On December 2017, Dehradun police arrested the main accused of the case and his accomplice. 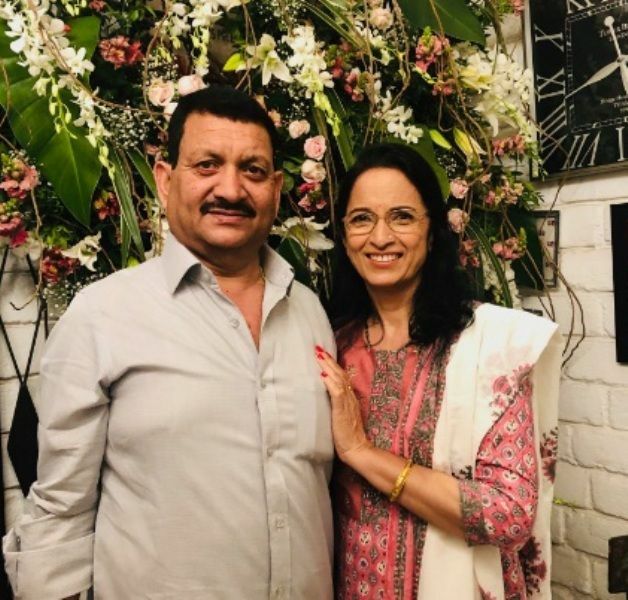 In 2017, After an interview in India TV’s show ‘Aap Ki Adalat,’ Aditya Pancholi’s wife, Zarina Wahab said that why would she think of Kangana as her daughter when she dated her husband. 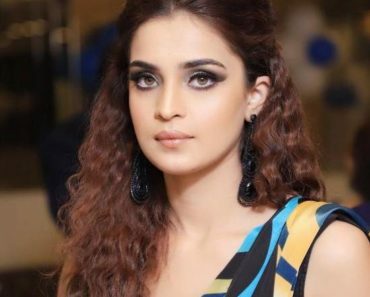 In reply, Rangoli showered her with a series of tweets for her allegations against her sister. 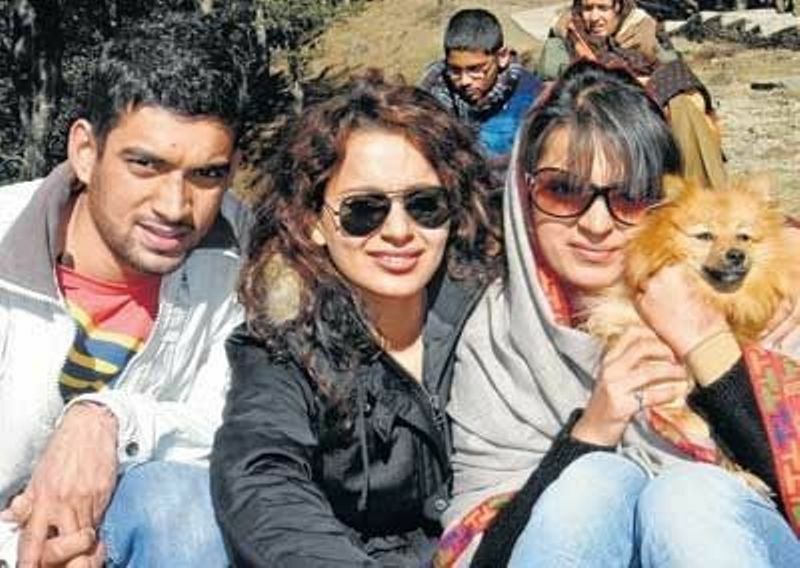 Kamaal Rashid Khan, one of the most controversial Bollywood actor once tweeted that he has proof from five people that Kangana met Aditya Pancholi, her ex-boyfriend in 2005. 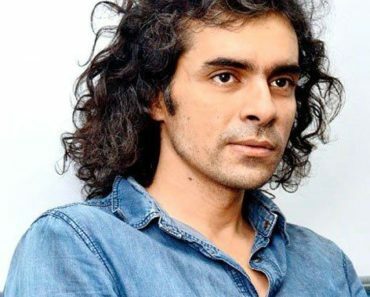 He talked rubbish about Kangana and even brought up Rangoli’s Acid Attack. 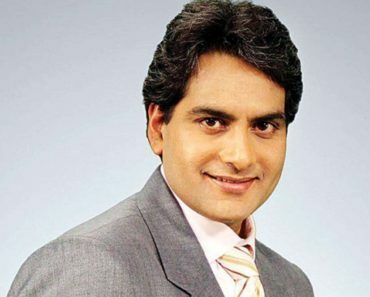 Rangoli slammed Kamaal with several tweets calling him a dog, crow, scumbag and so on. Actor Hrithik Roshan filed a case against Kangana that she has been stalking him and even sexually harassing him. 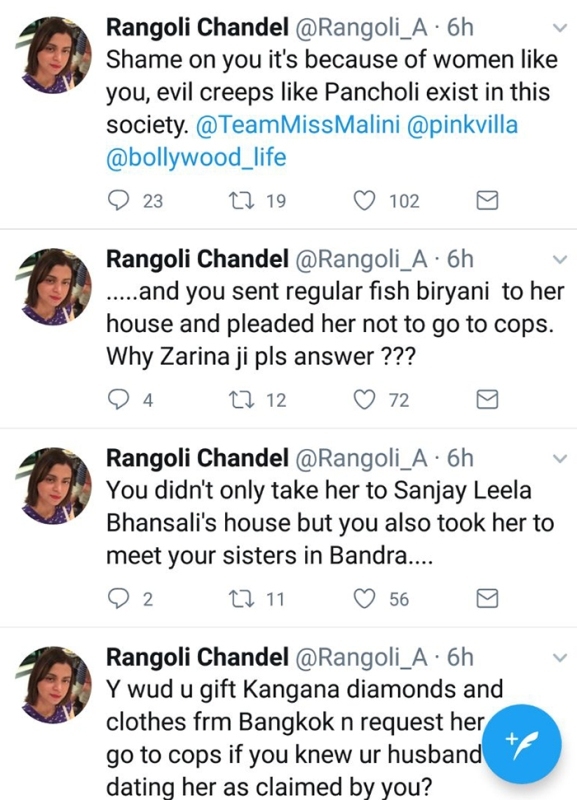 Rangoli replied by tweeting about his false allegations on Kangana and showing proof to the media about Hrithik and Kangana’s affair. Rangoli’s case was the first ever acid attack case to happen in Dehradun. She met her husband in 1998, after being in a relationship for over 13 years. She was initially a non-vegetarian but later turned to a vegetarian in 2014. Her grandfather was an IAS officer. She is passionate about cooking. She is the ardent follower of Bhagvat Gita and loves to discuss it. She is a dog person. Her dog’s name is Pluto. 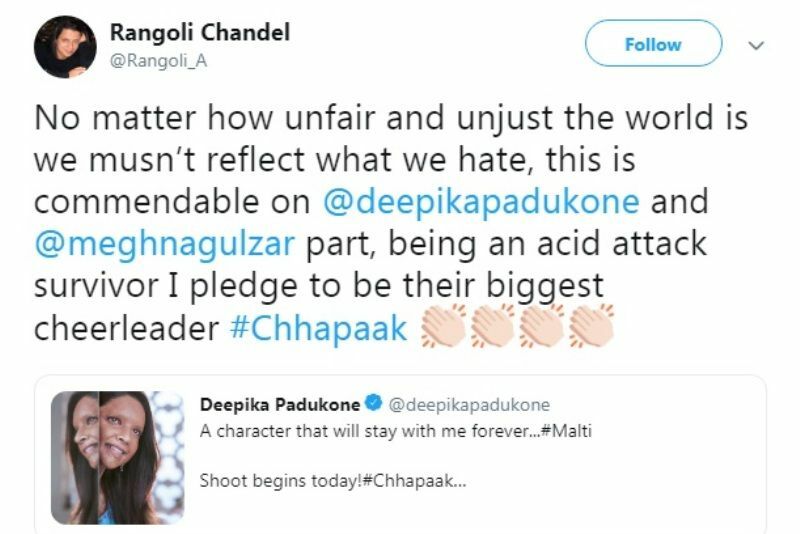 She tweeted that she is rooting up for Indian actress Deepika Padukone and director Meghna Gulzar for their commendable part in the movie “Chhapaak”.